Yumz massages gums and dispenses treats! 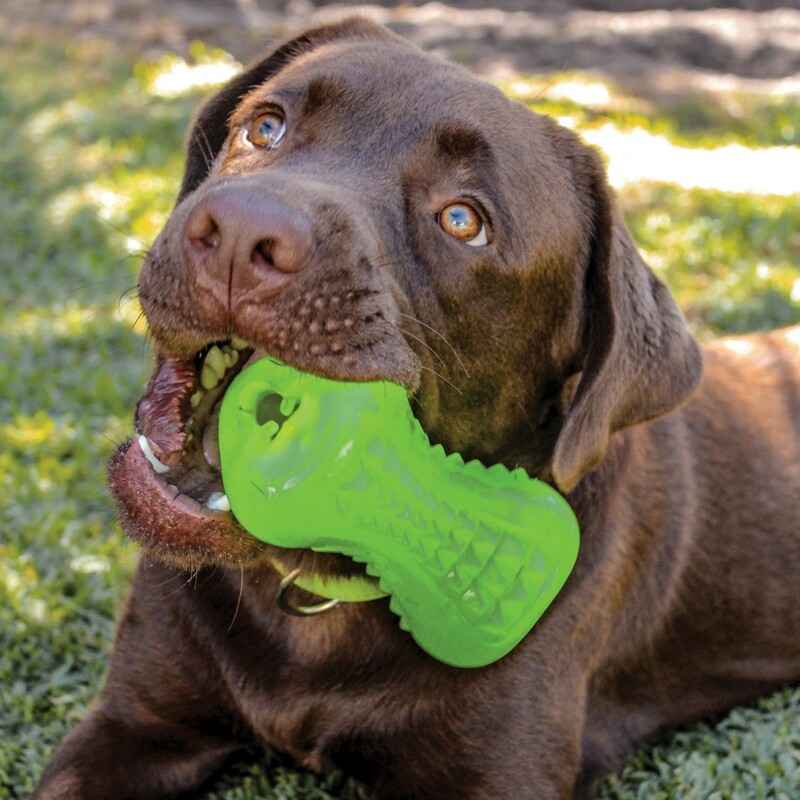 This new treat-dispensing chew toy has GMT - Gum Massaging Technology. Made from TPR, the inside treat cavity has 3 fins to hold treats longer. It bounces and fetches as well! Available in 4 Rogzilicious colors and in 3 sizes.